Cpap Tube, Buy Bipap tube, cpap accessory, TUB 006. These products are subject to a 3-5 day lead time. CPAP Tubing is comparable to Respironics CPAP tubing. This 6 foot tube features dual 22mm connectors. 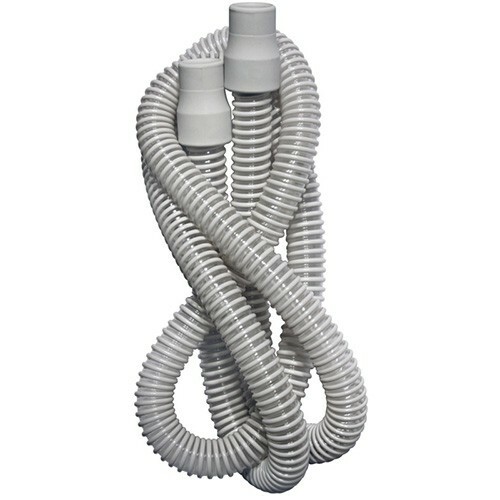 This CPAP and BIPAP tubing is universal gray tubing that is lightweight and provides you with six extra feet. Extension tubing for CPAPS is ideal if the table used for the CPAP machine is not immediately next to your bed. This CPAP Accessory Tubing is made with Tuff Cuffs that are designed to reduce tearing or other damage associated with use. The smooth interior of the tubing allows for a full airflow without restriction. This latex free connector features a durable design to prevent kinking. Universal tubing fits most CPAP, BIPAP and BiLevel machines.